AXN (short for AXioN) is a pay television, cable and satellite television channel owned by Sony Pictures Entertainment, which was first launched on May 22, 1997. The network is now spread across several parts of the world, including Europe, Japan, other parts of Asia and Latin America. Funded through advertising and subscription fees, AXN delivers 24 hours a day of action TV series, movies, animations and adventure-reality and lifestyle sports programmes. In the United States, AXN was used as a brand name for the streaming of Sony´s television library on streaming service Joost before it shut down in 2012. The series and shows aired by AXN differ in each version of the channel since some series aired by AXN in one market may be in other channel´s hands in another country. In some cases, U.S. shows that are broadcast by local networks will be broadcast with dubbed (American Portuguese, German, Bulgarian, Czech, Hungarian, Italian, Polish, Slovak, American and European Spanish, Japanese and Russian) or subtitled ( Croatian, Macedonian, European Portuguese, Romanian, Serbian, Slovenian, Malay, Bengali, Mandarin, Cantonese, Hindi, Indonesian, Mongol, Nepalese, Urdu, Sinhalese, Korean, Taiwanese, Thai, Khmer, Laotian, Vietnamese, Dzongkha, Ukrainian, Dhivehi and Kazakh) in the same market. AXN Adria - Available in Bosnia and Herzegovina, Croatia, Macedonia, Montenegro, Serbia and Slovenia. AXN Beyond - Available in Philippines, Hong Kong, Singapore, Indonesia, and Thailand, and soon in the rest of Asia. In October 11, 2012 this channel is now known as BeTV. AXN Europe - Available in Austria, Bulgaria, Czech Republic, Germany, Hungary, Italy, Moldova, Poland, Portugal, Romania, Slovakia, Spain and Switzerland. AXN India - Available in Bangladesh, Bhutan, India, Maldives and Nepal. 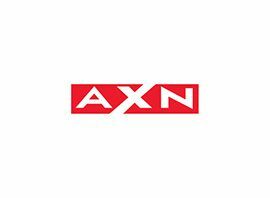 AXN North, Central and South America - Available in Mexico, Colombia, Venezuela, Argentina, Chile, Ecuador, Panama, El Salvador, Costa Rica, Guatemala, Honduras, Nicaragua, Peru, Bolivia, Paraguay, Uruguay and Dominican Republic. AXN Pakistan - Available in Afghanistan, Pakistan, Bangladesh, Tajikistan and Iran. AXN Israel - The channel was deleted on the 14th of January 2009. AXN Movies - Available in Canada. It is an HD movie channel focusing on action and adventure themed movies.